Just in time for Halloween election night, the original paranormal investigators are ready for another round on Android. But hold on, would-be busters: this ain't no ordinary mobile cash-in. Ghostbusters: Paranormal Blast is an augmented reality mobile cash-in. 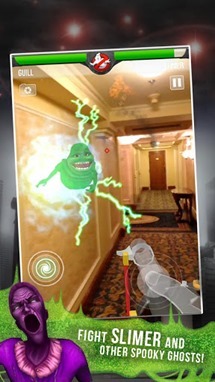 The core gameplay is finding ghosts though your smartphone camera (AKA Ecto Goggles), zapping them with your handy dandy nuclear-powered Proton Pack until they're weak enough to catch in a regulation Ghost Trap. For proper ambiance, try to find a high-class but antique hotel, or an abandoned firehouse. 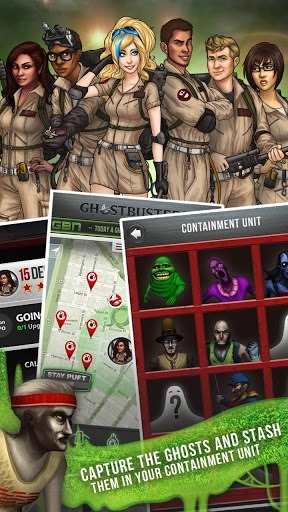 The more interesting bit comes from the game's integration with Google Maps: calls for ghostbusting come from real addresses in your area, as if you were a Ghostbusters, Inc. local franchise. Of course, you don't have to actually go to the addresses to play; the ghosts just appear wherever you happen to be. Your captured baddies are stored in a vault for you to observe later. 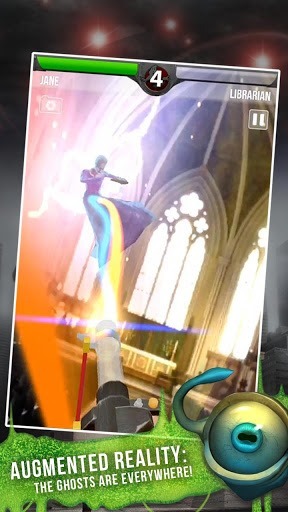 Clear out an area and you can battle the Stay-Puft Marshmallow Man (though for some reason, you can't cross the streams). Ghostbusters: Paranormal Blast is $1.99. Not bad, considering its abundance of in-universe jokes and quasi-localized content. Too bad it's got an in-app payment system: all objectives earn you petty cash and "buster bucks." Upgrading your equipment uses cash, but you can by convert Buster Bucks into cash at about a 1:5 ratio. In-app purchases through Google Play are expensive, at about $1 per 200. Boo. I thought the Ghostbusters were supposed to be broke - with this kind of payroll, they could afford an address on 34th.